Saskatoon, SK - The Saskatchewan Rush have signed Anthony Hallborg and Jordi Jones-Smith to one year agreements. A native of Warman, SK, defenceman Anthony Hallborg was drafted 58th overall by the Rush in last year’s NLL Entry Draft from the Junior A Saskatchewan SWAT. After attending Rush training camp last year and getting a taste of NLL pre-season action, Hallborg will return and push hard to earn a spot on this year’s roster. 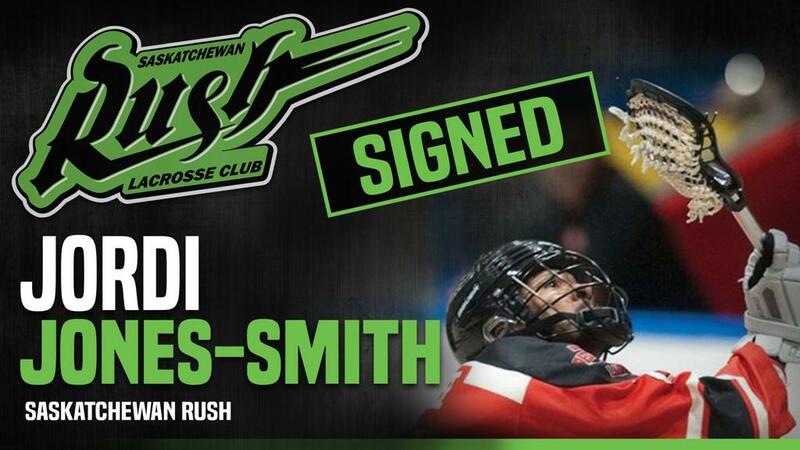 Jordi Jones-Smith grew up being coached by Rush Head Coach and GM Derek Keenan in Whitby, ON. Drafted 48th overall by the New England Black Wolves in 2015, Jones-Smith developed his Box Lacrosse game through the Junior A Whitby Warriors. A versatile player who can play at both ends of the floor, he also played Field Lacrosse for the University of Western Ontario Mustangs.